I think this first shot looks like it came straight from a magazine shoot! I just love the farmhouse style and the blue, gray and white color combination. 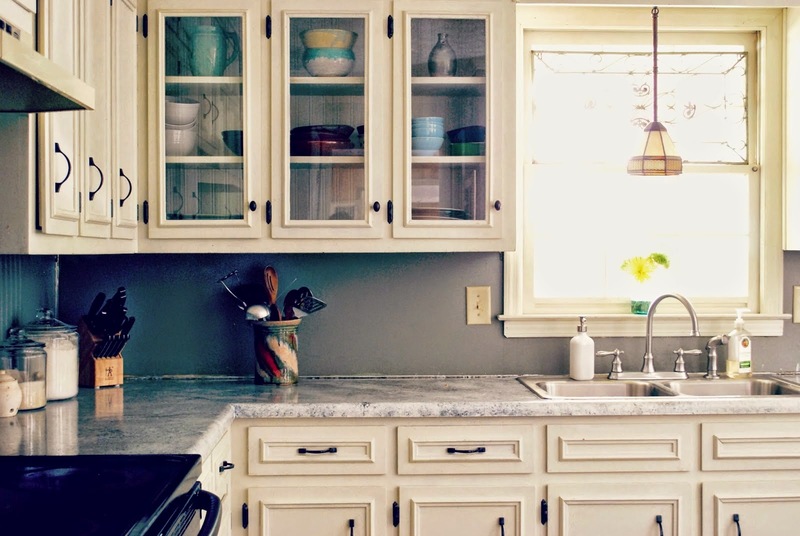 Check out the fabulous kitchen makeover from Kathleen over at Between Blue and Yellow. My friends Cassie & Sarah created a stylish and sophisticated new office space for their business Sweet Clover! You can check out all the details over at Primitive & Proper. 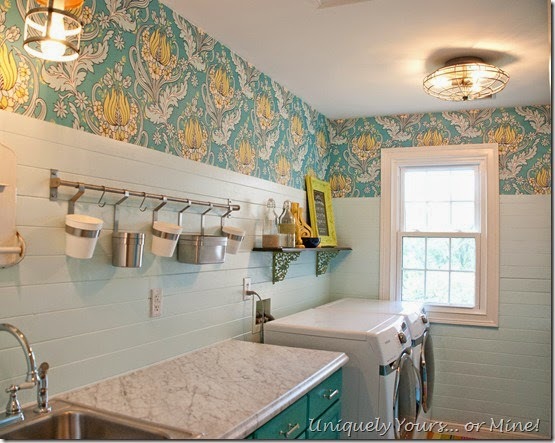 Susan from Uniquely Yours or Mine shared her bright and beautiful laundry room makeover! 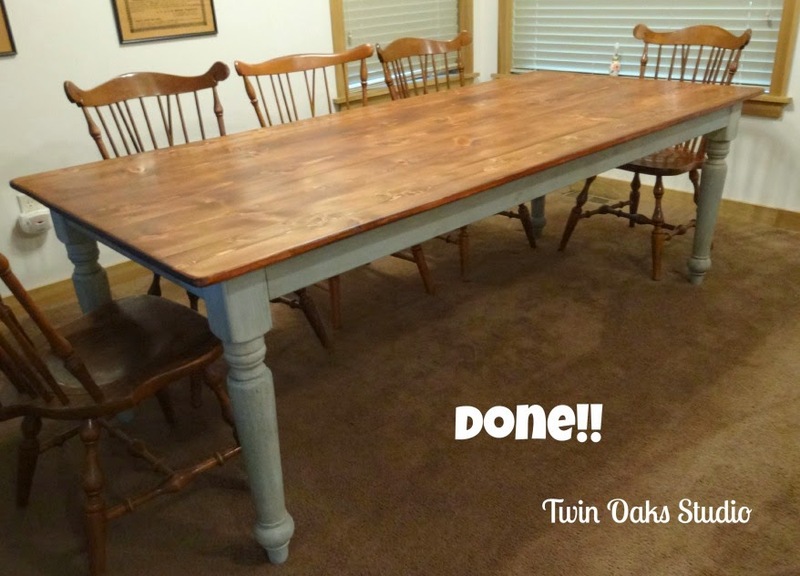 When Pauline from Twin Oaks Studio couldn't find the perfect farmhouse table, she decided to build one! 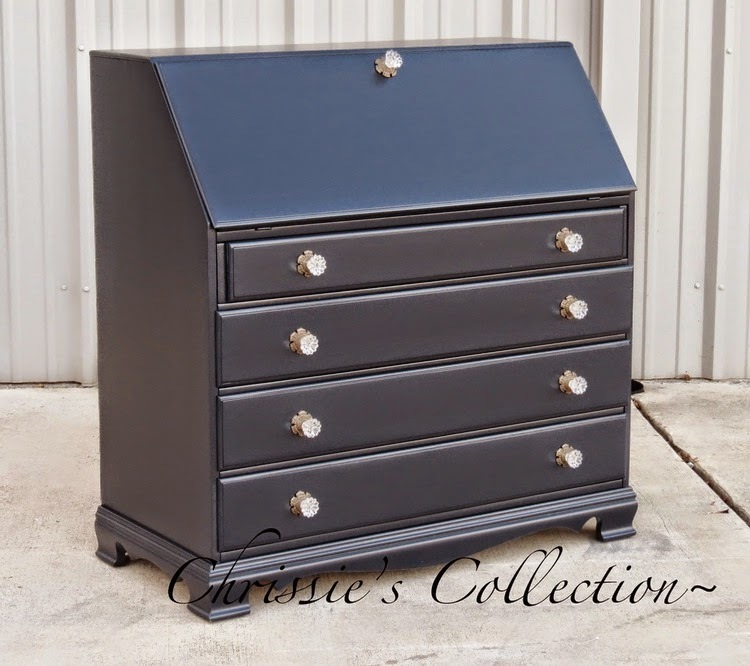 I love this beautiful deep blue secretary from Chrissie's Collection! 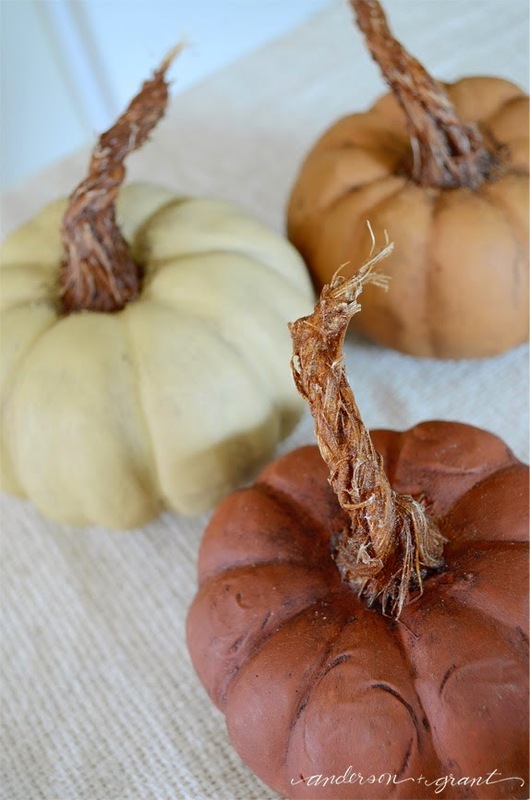 Jamie from Anderson & Grant has a nifty tutorial for making thrift store pumpkins look like the real thing! Add a little fun to your Halloween décor this year with these easy Jack O'Lantern lamp shades from Cynthia from Clockwork Interiors! 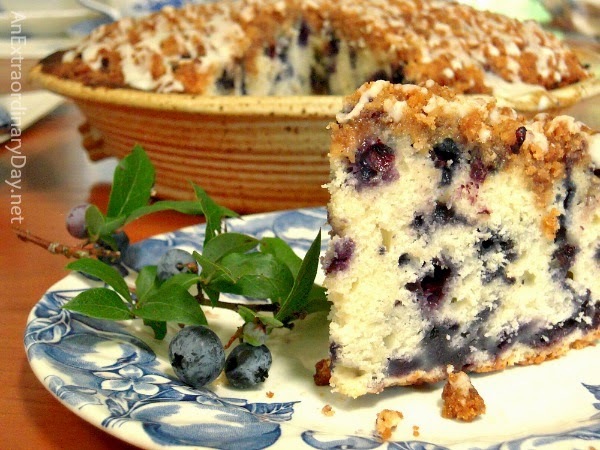 And this Blueberry Buckle Coffee Cake from Diane at An Extraordinary Day looks simply delicious! And don't forget that you can also share your garden and outdoor related projects all month long at our September Garden Party. It's our last garden party of the year! thank you SO much for featuring our office! i love that laundry room and i have seen kathleen's kitchen in person- at least most of what has been done, and it's beautiful!!! I want that laundry room...I want that office...I want that kitchen...I'm feeling like a slacker! Great features as always. 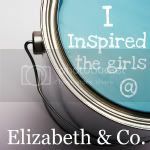 Thanks for the party today and hope your sale was a huge success last week! Thank you so much for featuring it. It's truly a blessing! Love that laundry room makeover, Sharon! If you're going to have to do laundry what a fabulous space to be! Thanks for the party! Thank you so much for choosing my pumpkins as one of your features. I'm excited that you liked them! Have a great day. You're so kind to post my kitchen! Thank you for your sweet words, made my day! Thanks for the party! Love all the yummy recipes! Hi Sharon, inspired by the features this week. Thank you for hosting. Great features and I'm looking forward to visiting some of the new links. 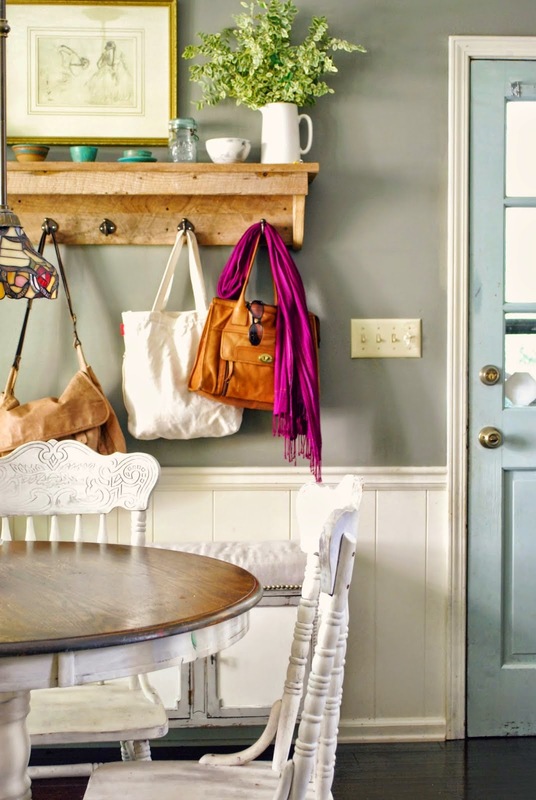 Wow, thanks so much for sharing my laundry room makeover! They're so many awesome projects! Hi Sharon, Thanks for the party! I am on my way to check out the features. 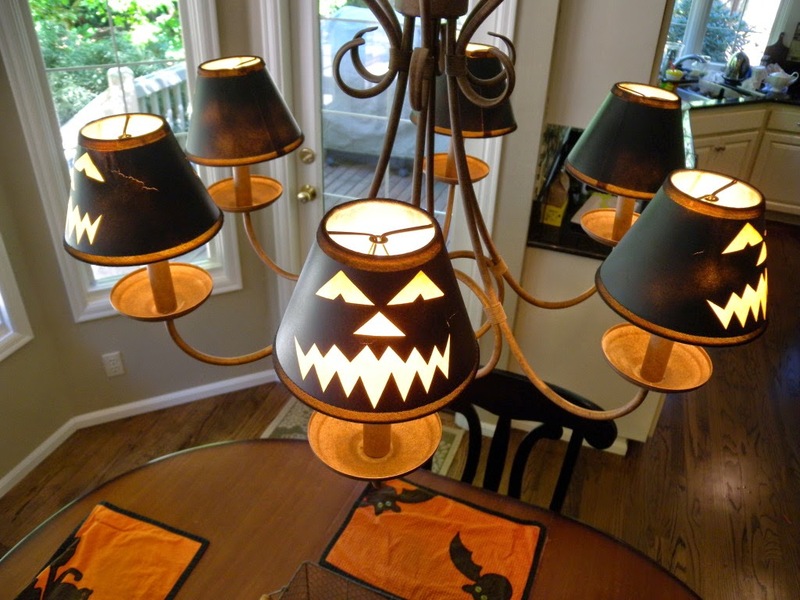 Thank you for hosting and for featuring my DIY Jack-O-Lantern lamp shades. I really appreciate it! Thank you for hosting your great parties, Sharon. I hope your week is going well!